Owning a dog is a huge responsibility. Dog owners are expected to provide basic needs such as food and shelter, as well as to ensure that their dog sees a veterinarian to receive shots that will make them healthy and strong. But sometimes, despite doing all these, our dogs meet an accident or two, resulting in dog wounds. Because of this, we should be able to provide first aid care, and send our wounded dogs to the veterinarian as soon as possible. As soon as you see that your dog has been injured, the best first response is to keep calm and have the right presence of mind so that you can help your dog immediately. Your veterinarian must tell you the correct dosage for your pet’s size. It is hard to imagine your dog fighting for his life just because of an accident or severe dog wounds. As a dog owner, it is your responsibility to provide the care necessary to ensure that your dog can be out of danger quickly. Your dog may get into all kinds of mischief. Unfortunately, sometimes, they do get themselves hurt. Having the right knowledge on how to stop a bleeding situation is important. In the case of dog wounds, immediate medical attention should be provided. However, if you are outdoors, and the veterinary clinic may be a bit too far from where you are, you should know how to handle your injured dog. It is possible that your dog may have been run over by a vehicle. The extent of injury may not be immediately known unless the dog is taken to the veterinarian immediately. Proper assessment should be performed to prevent infection or developing any type of disease. Although your dog may only have minor scratches, it may be possible that he has suffered internal hemorrhage. Take note that the dog’s paws and legs are vulnerable to injury from broken glass and other sharp objects and will bleed heavily when cut. The same goes when the ear is injured since the skin over it is very thin. 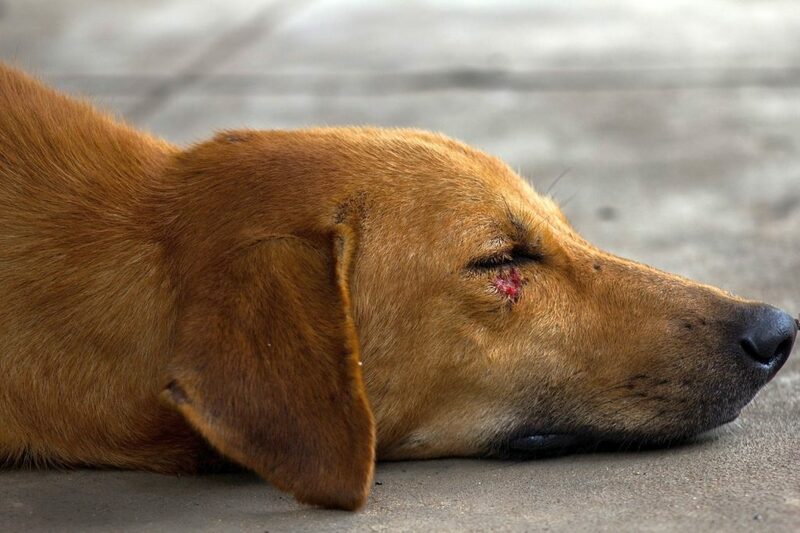 With any type of bleeding dog wounds, the main purpose of using first aid is to prevent excessive loss of blood, which may otherwise lead to shock. The typical signs of shock include pale or white gums, rapid breathing, and rapid heartbeat. If the affected area continues to bleed, this means that an artery has been cut or damaged. This would require immediate professional attention. You should also be aware that no matter how tame your dog is, his behavior may change due to the pain that he is experiencing. First, put a muzzle on your dog to ensure that you will not be bitten. If you do not have one, you can improvise by using a nylon cord, sock or leash. Check if the wound is clean. If it is not, then you should irrigate it by using a saline solution. If you don’t have saline solution, you may use emergency eyewash solutions. Once the wound is clean, you can have a better assessment of the extent of the injury. If the bleeding continues, apply pressure on the affected area. Use a clean piece of cloth or a gauze and apply pressure for 3 minutes. If the bleeding continues and is located on a leg or tail, you may apply a tourniquet. But if the bleeding is from other parts of the body, then continue applying pressure. If your dog accidentally burns himself, run cold water on the affected area for at least five minutes and immediately call the veterinarian. If it would take a little more time before your dog can be treated by a veterinarian, soak the sterile gauze with saline solution and place it over the affected area. Any cut, abrasion or puncture on the skin may cause an infection when left untreated. Therefore, it is always best to ensure that proper irrigation of the wound is performed. Damage to muscles, tissues, and tendons may occur if infection is not prevented. 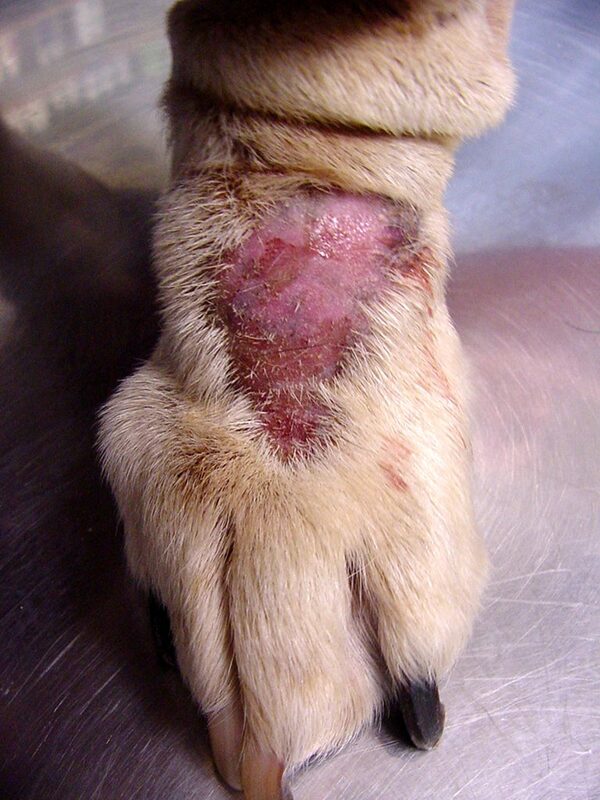 Dog wounds, no matter how big or small, should not be ignored. 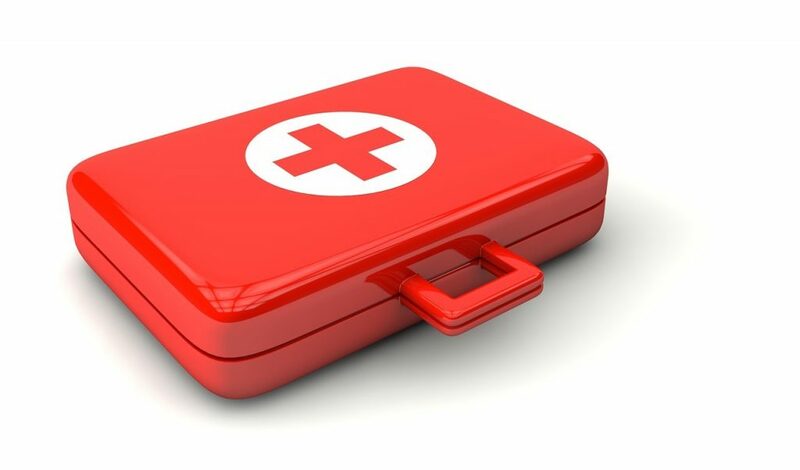 Proper medical attention should be administered to prevent infection or injury.